For businesses on the U.S. East coast, hurricane disaster is a real possibility every year. In 2012, Hurricane Sandy became the second costliest superstorm in America’s history, impacting over 300,000 US businesses with assessed damages in the range of $75 billion USD. Network outages due to damaged wirelines were reported to have led to loss of revenue and halting of business operations where companies were no longer able to process transactions and employees were unable to access company networks and data. Despite so much at stake, few businesses residing in high-risk areas take preventative measures against loss of internet connectivity. In a previously published post on wireless failover for business continuity, we discussed reasons why more and more companies are choosing to adopt a failover solution to maintain uninterrupted connectivity in the event of a network outage. First of all, it’s preventative. When the primary wired connection goes down due to a short-term malfunction or long-term catastrophe, a backup wireless failover solution will kick in automatically to deliver sustained connectivity, both for external transactions and internal operations. But what about cost? The key to a good wireless failover solution is that it offers an affordable, cost-effective way to ensure continuity of business in the event of a network outage. It’s a form of insurance that brings peace of mind to any business, especially in times of inclement weather. It further saves money by limiting the number of IT personnel needed for on-site technical maintenance through an option called out-of-band management, which allows for remote troubleshooting and configuration of network devices. Security is also at the forefront of today’s business concerns. Fortunately, good wireless network failover solutions are able to integrate into existing security structures with strict measures in place, such as PCI compliance for credit card security. The Economist reported when Hurricane Sandy struck that wirelines were soaked with salty flood water causing disruption of internet services to millions of customers. It was a natural disaster that tested the readiness of businesses to cope with disaster. “Firms are increasingly reliant on networks, but often fail to understand the risks that networks bring,” management guru Don Tapscott was quoted as saying in the article. No company expects that at any one time, a long-term network outage could have such a catastrophic effect on their bottom line, but it’s something that could strike in any given year. Just like car or health insurance, it’s not something you think about when the going is good, but it’s when the going gets bad that it really counts. 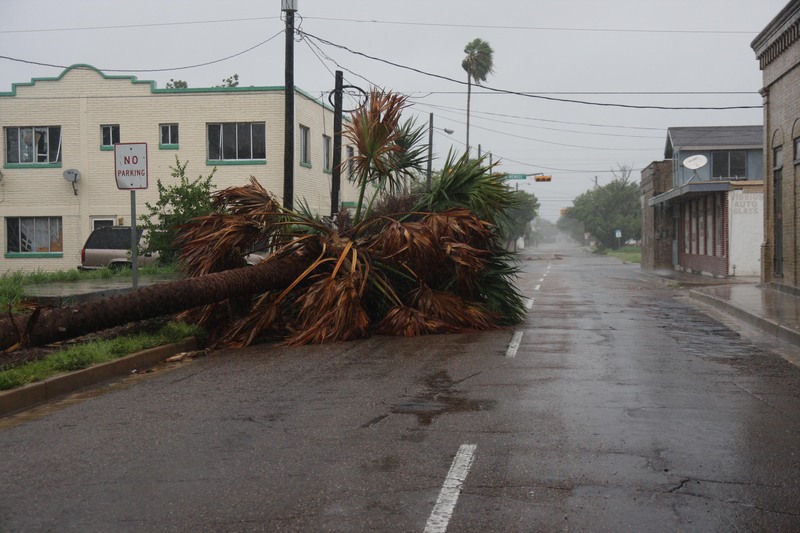 Protect your business with a hurricane preparedness failover solution. 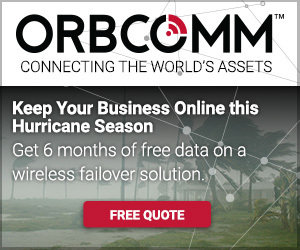 Learn more at www2.orbcomm.com/hurricane, or contact us for more information.